Affordable tree services is client’s first concern when it comes to all tree operations. Here in Tall Timbers Tree Services we definitely understand your part. Nevertheless, whatever it might cost, we guarantee that it is excellently satisfying. In years of business, we already mastered wide and every single species of tree. We do scrutinize every direction, angles, and situations of where the tree falls. This action helps to protect your properties, establishments, or even your backyard. Add more with our extended and extensive years of experience. We do study every minutiae detail of the parts of the tree that needs service. Indeed, we analyze, perceive and give updates to every tree owner. With our affordable service, all your commotions and requests are already solved with reasonable price. Our service possesses all you need in terms of expertise, quality, and professionalism. We have highly trained arborists who never let you down in all your tree demands. They totally examine the entire process. Even suggests very excellent ways just to make everything is in your favor and fulfillment. We will never ever leave you hanging. Rest assured you will be one of those happy clients we worked for. Affordable tree services with skilled arborists must intertwine with complete and upgraded equipment and machineries. Yes! We absolutely have it all. With the complete team packed with experience and highly specialized equipment, no work left undone. And other services evolve with trees and shrub. Our stump grinding process is the safest and most effective way to get rid of tree stumps forever. You won't even know there was ever a stump there! 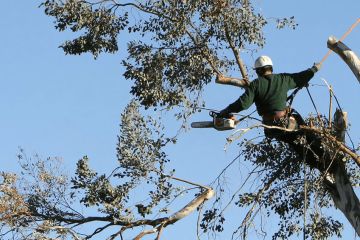 Our professional and qualified tree climbers can also access difficult-to-reach trees for all necessary trimming or tree removals. Call us today!